When it comes to hair extensions, hair salons in Marlton are your best bet. Only a hair salon with experienced and attentive stylists can help you find beautiful and natural-looking hair extensions. Hair salons can also bond hair extensions with glue or keratin. If you prefer DreamCatchers hair extensions, your hair salon will not use any heat or glue at all. When it comes to keeping your hair extensions natural, it is important to pick the right color, select an appropriate length, and follow all salon instructions. Your first step to natural-looking hair extensions is picking the right color. Hair extensions come in a rainbow of colors. If you do not go to a hair salon, you risk selecting the wrong shade, which can reveal your hair extensions to the world. When you visit hair salons, be sure to bring in some photographs of your ideal color. 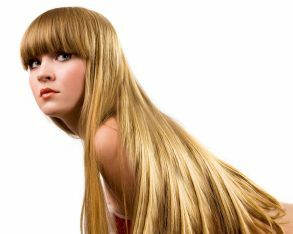 For example, if you have an ashy blonde tone that you would like to warm up with golden hair extensions, bring in photographs of your ideal blonde. If you prefer to stick with your exact natural color, tell your hair stylist that. When it comes to hair extensions, picking the right length can mean the difference between beautiful, flowing locks, and a tangled mess. When you select extensions, be sure to pick a length of hair that you feel comfortable maintaining. While some people find that hairstyles for short hair are more manageable, others are willing to go the extra mile to straighten or curl long hair. You can always ask your hair salon for styling ideas, too. After your hair salon places your extensions, always follow the aftercare instructions exactly. To keep your hair extensions looking blended and natural, only wash them once every six weeks. This keeps your extensions looking fresh and prevents the color from dulling. Wash hair extensions using a moisturizing shampoo—there is no need to use a color care shampoo, unless they are dyed. If you would love to have longer hair without having to wait for it to grow, hair extensions in Marlton can be a great option for you. For best results, choose extensions whose color precisely matches that of your real hair. Extensions made from human hair, rather than synthetic fibers, are easier to wash and style and less liable to tangle. To attach your extensions, first part your hair in two places, level with the highest part of your eyebrows. Using a fine comb, tease the hair just below the part and carefully clip in the hair extensions along the line of the parting. Repeat the procedure on both sides of your head, making sure that the extension are of an even length. Next, trim the extensions carefully, holding the scissors vertically. For the most natural look, cut them down to no more than three to four inches longer than your real hair. Finally, curl your extensions together with your real hair and apply hairspray to complete the styling process. If you are using synthetic extensions, make sure that they can be curled.